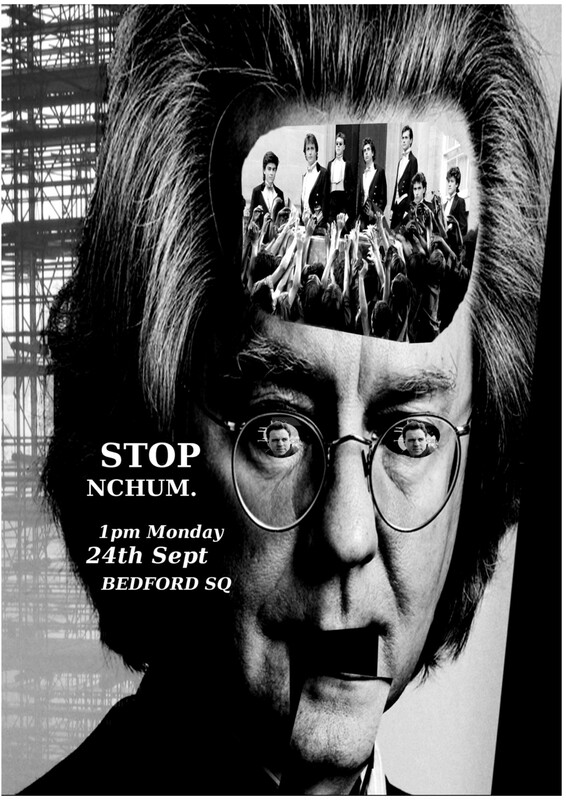 Demo: Stop the ‘New College of the Humanities’ | Bloomsbury Fightback! Grayling Hall may appear as nothing more than the narcissistic fantasy of a sub-philosopher unfortunately over-inflated with Radio 4 air-time. In fact it is a serious profit making venture, a private company thrusting its way into the education sector in order to guzzle up the lucrative capital of bourgeois students desperate to separate themselves off from the rabble. As such, it represents nothing less than an all out class attack on the future of education. While the managed destruction of London Metropolitan University continues amid a hurricane of institutional racism, union busting and P45s, the New College will attempt to establish itself as the pattern book for education institutions from now on. Private contractors crushing staff wages and conditions, students milked for ever more ludicrous fees, and Trustee Boards bloated with industrialists and finance capitalists: this is the model NCHUM wants to spread, and the model which is tearing apart universities across the country. There are no good universities, only those with better press officers and fatter endowments. NCHUM is not the only target for collective anger, nor is it necessarily the worst offender. But profiteering is not new; egoism is not collegiate and neither is exploitation humane. The ‘New College of the Humanities’ deserves to be stripped of its name, its buildings, its lucrative students and any respect it might have been able to scrape from the tongues of its sycophantic supporters. Research and destroy! Stop NCHUM. 19 Beford Square, September 24th, 1pm. « What is ‘40 Days for Life’?